What make OTCO, Inc’s locking security bags, bank bags, zippered bags different? All of OTCO’s products are custom made to order out of our factory of 35-40 employees right here in Fond du Lac, Wisconsin. Designed and manufactured in the United States, support American made products. Pick from hundreds of options for sizes, materials, colors, locks, and more. All our bags can be personalized with your company name or logo. Night Deposit Bags (NDB) – OTCO Night Deposit Bags have a built-in, pop-up lock which is riveted to the bag and completed with a heavy duty “Security Patch”. Zipper Bags / Cash Wallets (CW) – Designed for a variety of uses, these bags are perfect for any association, business or banking need. (CM) – Reusable, Modern Envelopes! These reusable mailers are tailored to meet your requirements. From lightweight Nylon to tough laminated Nylon, and available in a variety of styles, these bags will stand the test of time! (CMG)-Reusable, economical, and environmentally friendly fabric mail bags that last for years! These reusable mailers have an expandable gusset to allow for extra storage. Add webbed handles and make the bag into a briefcase-style transit bag. Locking Mailbags offer the same Heavy Duty bottom and basic features as the Security Elite, but with the added feature of a built-in pop-up lock. Ballistic Cordura nylon, touch “Armadillo” bottom, skid resistant bumper feet, comfortable-durable 2” wide web handles, and available with or without built-in lock. With its touch “Armadillo” trim and durable molded bottom, the Security Elite is the perfect bag for protecting valuables. Padlock sold separately. Standard mailbags available in canvas. For added durability you can add a vinyl skirt to any size bag. 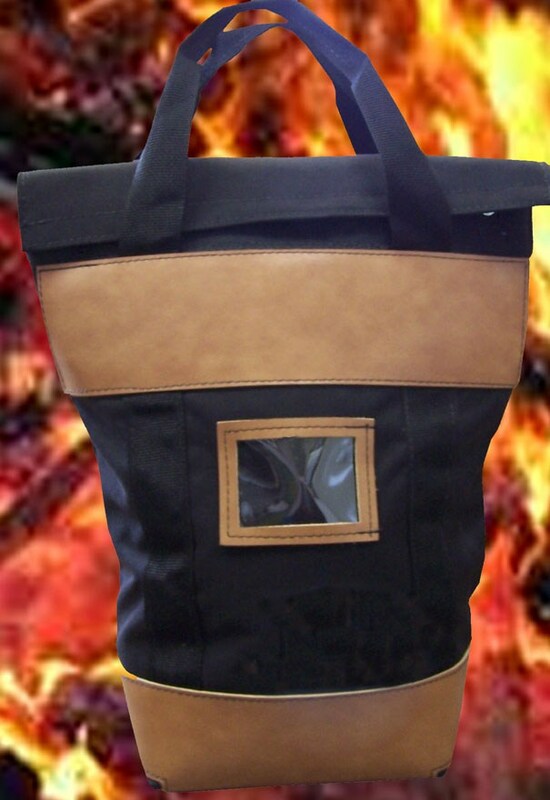 Secure, durable locking bag that not only protect your items from theft, but also from fire. Fire bags can be made in Locking Courier Style, Locking Deposit Bags, as well as Inter-Office Mailers. Popular since the early days of banking. Its simplicity is based on a unique time-tested method of securing the zipper with a standard padlock. The zipper pull is inserted through a slotted steel zipper hood. Otco Offers Special & Custom Bags! There are a many reasons to use a lockable security bag from transporting and securing money or valuables, sensitive documents, restricted materials like medication, or personal use. Locking security bags are made to keep unwanted eyes and hands away from your valuable or sensitive materials. Larger locking security bags are HIPAA also compliant! These are great for any need from banking bags, medical bags, document bags for businesses, retailers, government, medical and school facilities. At OTCO, Inc. we can customize locking security bags to YOUR specifications. Whether you’re transporting cash, documents, valuables, medicine, etc. we can create a bag to suit your needs. OTCO’s locking bank bags are tough! All bags are individually hand-crafted from 1000 Denier Nylon to Basket Weave Nylon – the toughest fabric in the business! It’s virtually impossible to tear! Security bags from OTCO, Inc. can take a beating. Puncture them and simply rub the area surrounding the hole and this revolutionary fabric will repair itself! The puncture just disappears. In addition to a wide assortment of locking bank bags, OTCO, Inc. can create a non-locking bank bag that will fit your needs. Zippered bank bags can be customized to fit your requirements. Pick from hundreds of options for sizes, materials, colors, and can be personalized with your company name or logo. And remember, we also offer sewn in tags, silk screening, or embroidered logos on all bags so YOUR bags match your brand!